Tuff Wheels feature hand-made and machined alloy flanges with a throwback look to the classic .. 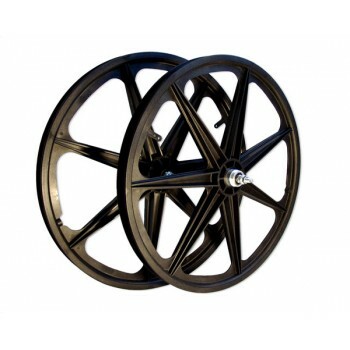 This is for both front and rear wheelsSkyway have released limited stock of skyway wheels wi.. This is for both front and rear wheelsBoth wheels have sealed bearingsBoth wheels have 1..